Nanoporous Anodic Aluminum Oxide wafers are now available with conformal coatings on the pore walls by Atomic Layer Deposition. 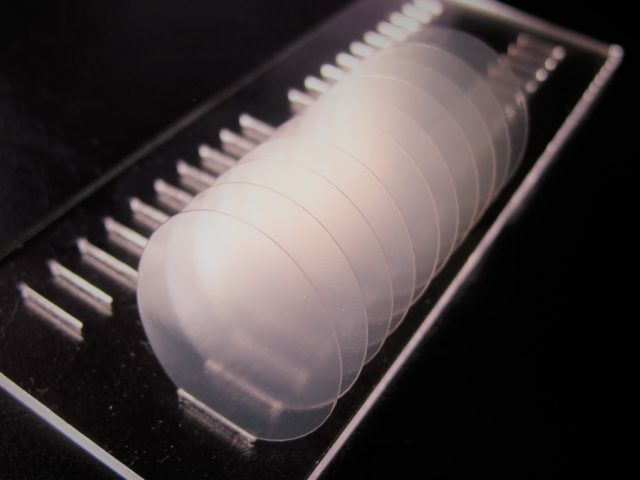 ALD offers unmatched control of both the thickness and the composition of the coatings, as well as uniform coverage inside high aspect ratio nanopores. For other AAO-ALD nanocomposites, contact us with your requirements. * Current lead time for standard specifications is 2-3 weeks. ** Custom ALD-coated AAO products are available upon request. 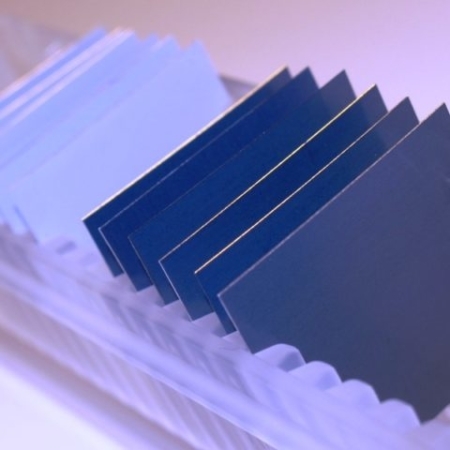 Visit product pages for AAO wafers and AAO Films to review available form factors and pore geometries and contact us with your coating requirements. *** Volume discounts are available in quantities over 20 wafers. Contact us for to request a formal quotation.